Here are some tips and useful information about our 5th Annual Coast to Coast Run, March 24 – April 7 2018, offering the lowest cost coast to coast motorcycle hire available. 1) This is a hire, NOT a Guided Tour. You are responsible for planning your own route, finding your own accommodations, and generally taking care of yourself. That said, a great deal of advice will be shared via the dedicated Facebook page we created for the ride, both before the ride starts and during the time we’re on the road. We will of course do our best to answer any questions and share our experiences with anyone who books, but everyone who does this ride needs to take some initiative and ownership about where they’re riding, what they’re seeing, doing, eating and where they’re sleeping. 2) 14 days and 4000 miles are included in the £999 hire price. It’s very likely you’ll exceed this mileage allowance if you explore a bit; extra miles are billed at 39 US cents per mile. WE advise everyone to zero their trip meter when leaving Orlando so you have an exact understanding of the mileage you’ve done, and can budget any overage accordingly. You can add some days at the beginning or end of the ride at a discounted rate; however, no extra mileage is included with these days. This special rate includes 4000 miles even if you add extra days, every mile over 4000 will be charged at 39 cents per mile. 3) Will we be riding together as one big group? Again, this is a hire, not a guided tour. in previous years we saw groups form organically, as we all left from and went to the same place. We look forward to riding with everyone for bits of the tour. 4) How will I know where to go? We’ll be supplying a Google online map before the ride, which will enable you to zoom in and see the exact roads. We’ll also be doing daily updates on Facebook about where we’re going and stopping, and many of the people on the ride post updates on this page as well. This was great as we’d all meet frequently on the road, ride and socialize together. It’s recommended that you bring a smartphone or connected tablet so you can get these updates as they happen. 5) Do I have to follow you? The fast answer: of course not! Many of the riders who are booked are cutting their own trail and we won’t see them until we all end up in Los Angeles. The route we have chosen to ride is one that appeals to us, but you should follow the route that appeals to you. 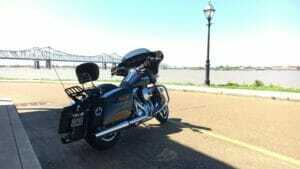 Want to stay a few days in New Orleans, then do a couple of long days to make up for it? Great! Want to burn through Texas and get out west and ride some of Route 66? Go for it. Just remember you have to bring the bike in on April 3rd, and you have a 4000 mile allowance; miles over that are charged .39 cents a mile. 6) What happens if I have mechanical problems along the way? You will be provided with an EagleRider 24 hour emergency hotline number, that’s your first call if you have any problems. Typically they will direct you to the nearest ER location for any repairs, but if one isn’t nearby, they’ll likely direct you to bring the bike to the nearest Harley dealer (they are EVERYWHERE in America) or motorcycle shop. Repairs from non-EagleRider locations will need to be preauthorized so don’t agree to let anyone work on the bike until you have the go ahead from them, or you may not be reimbursed 100%. In extraordinary circumstances, Tim and Jim may get involved to help resolve your problem, but the first question we’ll ask you if you call us is “did you ring the EagleRider number and what did they say?” Note also that if you took EVIP-Zero insurance, you have an allowance for towing and flat repairs (another reason we recommend it highly). 8) How much money should I bring? Depends – how posh do you want your trip to be? You’ll find ATM machines all over the place, and they’ll give you a better rate of exchange than what you’d get at the airport. Leave the cash at home and use your debit and credit cards, just be sure to alert your bank about your travels beforehand so your card doesn’t get turned off in the middle of nowhere. 9) What gear should I pack for the weather? Bring a warm base layer of merino wool pants and top, and waterproofs. Spring/fall riding gloves will work, leave the bulky winter gloves at home. Don’t put a tinted visor on your helmet, use a clear one and wear sunglasses – you might have some very long days on the bike. We’re riding 2700+ miles, we’ll see all sorts of weather but it should be fairly mild so long as you stay south. Forget about higher elevations (including the Grand Canyon), stick close to the Gulf Coast and the Mexican border and you’ll be fine. 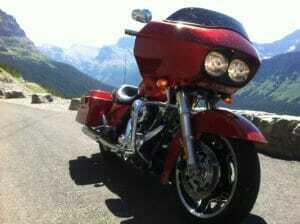 10) I need a specific model Harley for this ride, can you guarantee I’ll get it? We cannot – EagleRider does not guarantee the choice of bike, you provide two choices and you’ll get one of those. So if you need a topcase, or a radio, or anything specific, understand that there’s a chance you’ll get your first choice, and a chance you won’t. You need to be OK with that anytime you hire from EagleRider, and especially on this ride, as you need to be happy with your mount for two weeks and 2700+ miles once you leave Orlando. Lastly – we’ve put together this ride to offer an affordable, spontaneous way to ride Coast To Coast across America. We’ll provide advice, camaraderie, and hopefully get to ride with everyone for a bit. We’re here for you – but please keep in mind that this is a hire, NOT a guided tour, and as such riders are ultimately expected to be self-sufficient. Hi thanks for your reply did not receive the 1st message you where talking about so please can you send again also when do you need payment as need to get together or can I pay a bit at a time so can spread the cost over a couple of months ? Also if I come out on the 15th how long do you think I will need to do the trip without having to blitz it through every place and be able to see places as will need to get more time off which I need to arrange as I said? Oliver the hire special runs from March 21st through April 4th, pretty much everyone is doing the ride on those days. You can add extra days for £64 per day but the mileage cap stays at 2700 miles no matter what (after 2700 it’s 39 cents per mile if you go over.) The deposit of £250 is paid up front to reserve the bike, and the balance is due 65 days before departure, so you have time. Hi Guys, I may be too late but the wife has said I could go so am hurriedly looking at all costs. big question is where do I book to fly to and from ? Hey Mark – you can email me at [email protected] and I’ll send you the details and the booking form – thanks! UK and International numbers, as well as a US number – hope that helps! Hiya, what are the bike options please? 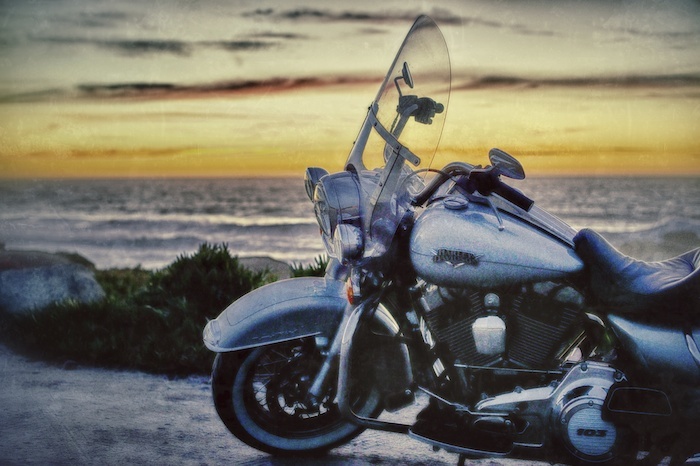 For the Cost to Coast ride you can choose any of the Harley or Indian range on our fleet. What kind of temp’s can you expect this time of year? I am used to -1c on my daily during winter, but can’t say I would find it fun! Do you bring all your own bike gear for this trip? Sounds mental and interesting at the same time! hi there – what is the cost in US dollars? Can i assume if i convert 999 pounds to US dollars the approximate cost is $1350? Would you accept a USA credit card as payment? Or would i need to send a check/money order, etc..
All details sent to you Paul. 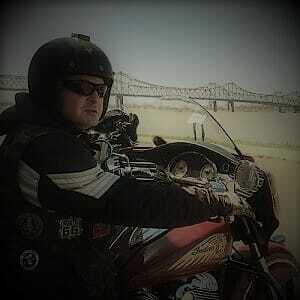 Hope to get to ride with you this year.